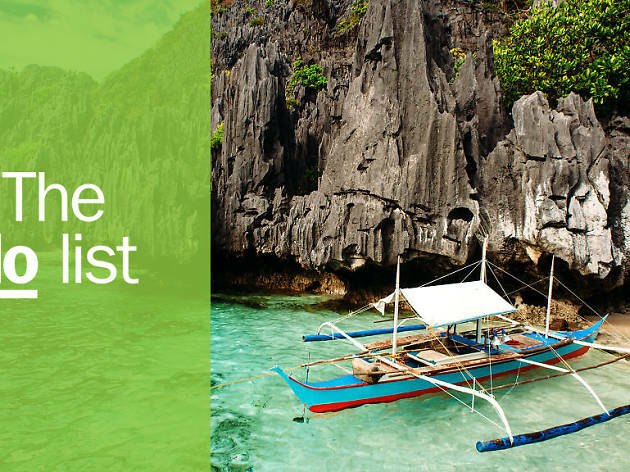 As the second-largest archipelago in the world with approximately 7,500 islands, things to do in the Philippines about; it's a vast country with spectacularly diverse geography and culture. Densely populated cities juxtapose pristine tropical beaches; volcanic peaks soar over valleys carved into ancient rice terraces; and six UNESCO World Heritage sites beckon travellers from all over the world. 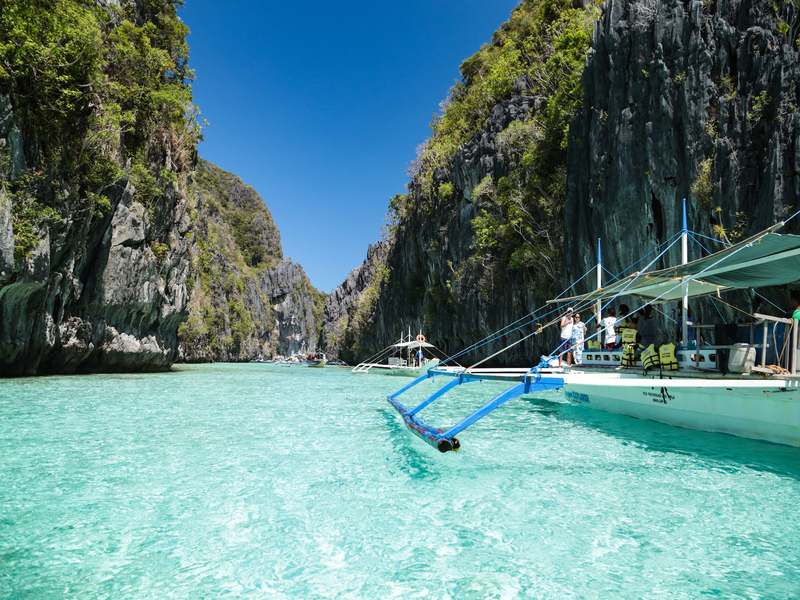 Although 175 languages are spoken here, tourists find the country easy to navigate as the Philippines is the fifth largest English-speaking nation in the world. While Manila is still the gateway to most travellers, the growing number of international airports dotted around the country makes accessing the country’s wealth of attractions a breeze. What is it? Manila’s oldest neighbourhood, the walled city of Intramuros (or Ciudad Murada) was built by the Spanish in 1590 and became its administrative centre. It is named for the three-mile-long circuit of massive stone walls and fortifications completely surrounding the district, which contains stone palaces, churches, schools, and courtyard houses. Why go? Although many parts of the walled city were destroyed during WWII, the walled city has been faithfully restored and is the best place to soak up the city’s colonial past. 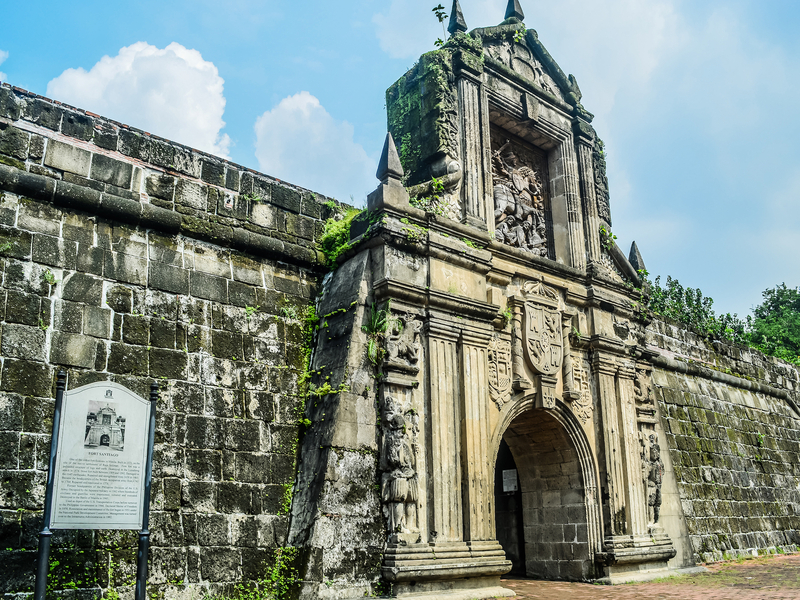 Take a walking tour through leafy residential streets lined with colonial architecture, explore the baroque churches and don’t miss Fort Santiago – a citadel used by the Spanish and American military and where Philippine’s national hero José Rizal died. What is it? 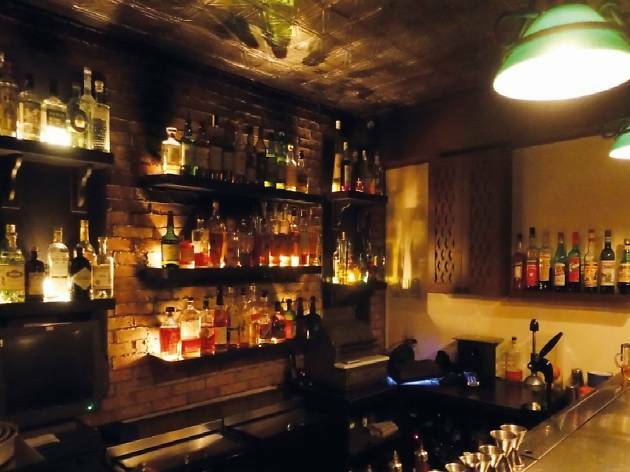 Blind Pig is one of the pioneers of Manila’s small but growing speakeasy scene, and widely considered its finest. The bar is hidden in a nondescript building with only a small braille sign marking its entrance. Once inside, it’s all low lights, leather and dark wood. Why go? The first bar to champion cocktails crafted with quality, hard-to-come-by ingredients and small-batch spirits, Blind Pig was one of the first serious cocktail ventures in the city. What is it? 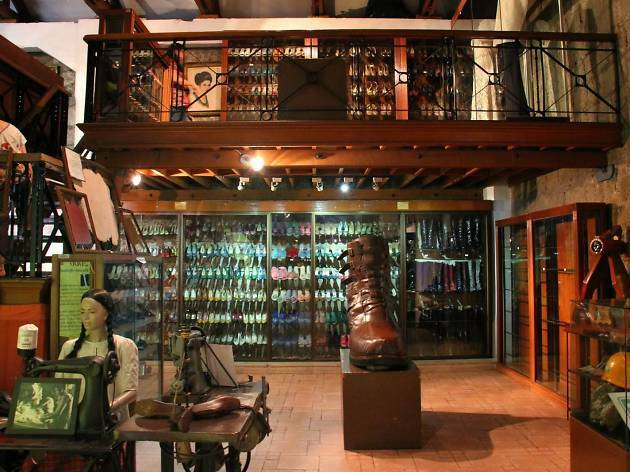 A museum dedicated to shoes in the heart of Manila’s shoemaking district. You’ll find footwear from each president of the Philippines in chronological order; but the highlight is the huge collection from the former first lady of the Philippines, Imelda Marcos. Why go? When protestors stormed Malacanang Palace in 1986, the thing that made international headlines was the 2,700 pairs of shoes left behind in Madame Marcos' wardrobe. Get up close to 749 pairs and discover the former first lady's penchant for bling, love for locally made footwear (which she was gifted during her time as first lady) and popular ’70s brands like Ferragamo, Givenchy, Chanel, Christian Dior and Charles Jourdan. What is it? 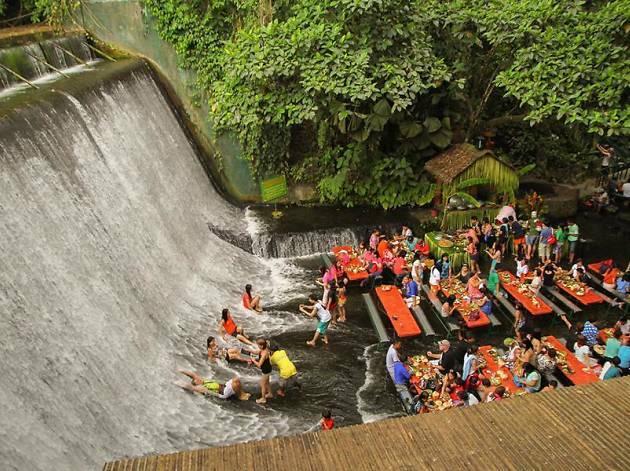 Located inside the lush Villa Escudero Plantations and Resort, Waterfalls offers a traditional Filipino buffet right next to a man-made waterfall, known as Labasin Falls. Why go? To feast Kamayan style: without shoes or utensils. You’ll enjoy food served on banana leaves while ankle deep in clear spring water, with the tranquil sound of running water as background music. What is it? On the fourth weekend of January, the streets of Iloilo City come alive as Ilonggos celebrates the Dinagyang Festival, marking the arrival of Christianity to the island. The festival is famous for showcasing the rich heritage of its Indigenous people. Why go? 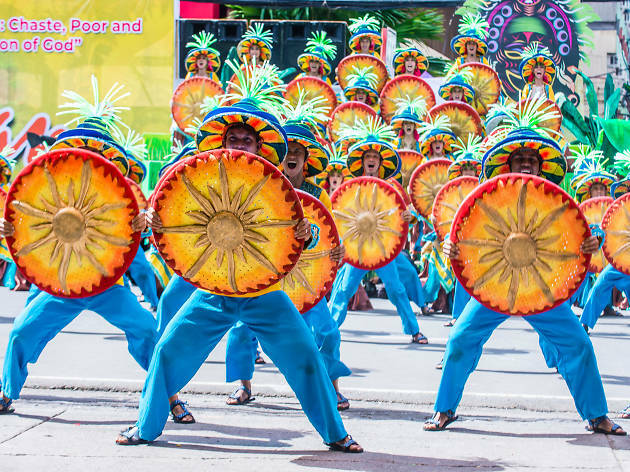 The name Dinagyang was coined from the Iloilo word ‘Dagyang’, which means to ‘make happy’. This colourful vibrant festival is a joyous celebration of culture, history and religion that shouldn’t be missed. The highlight is the Ati competition, where different tribes dressed in the traditional finery perform on the street. What is it? 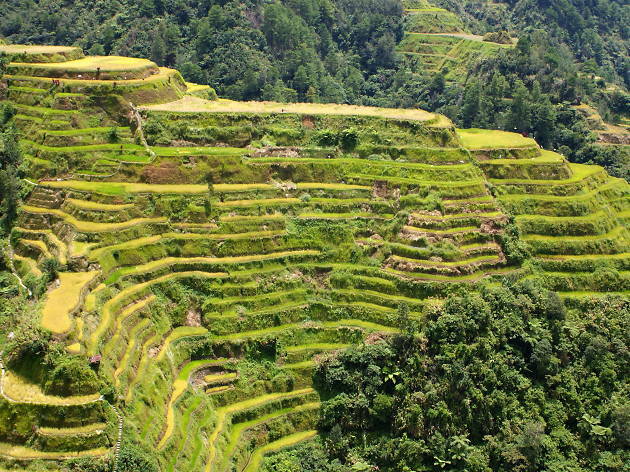 Carved into the mountain slopes of Ifugao some 2,000 years ago, the Banaue Rice Terraces soar to around 1500m above sea level, and are recognised as a UNESCO Heritage Site. Why go? In the past, getting to the terraces meant taking a ten-hour bus trip from Manila – but these days, travellers can fly to nearby Bagabag Airport. As farming in the area is carried out much the same way it was carried out hundreds of years ago, it is best to visit between February and March during cleaning and planting time, or between June and July during harvest time. If they look familiar to you, it’s because they were featured in the final scene of ‘Avengers: Infinity War’. What is it? The oldest Catholic church in the Philippines. 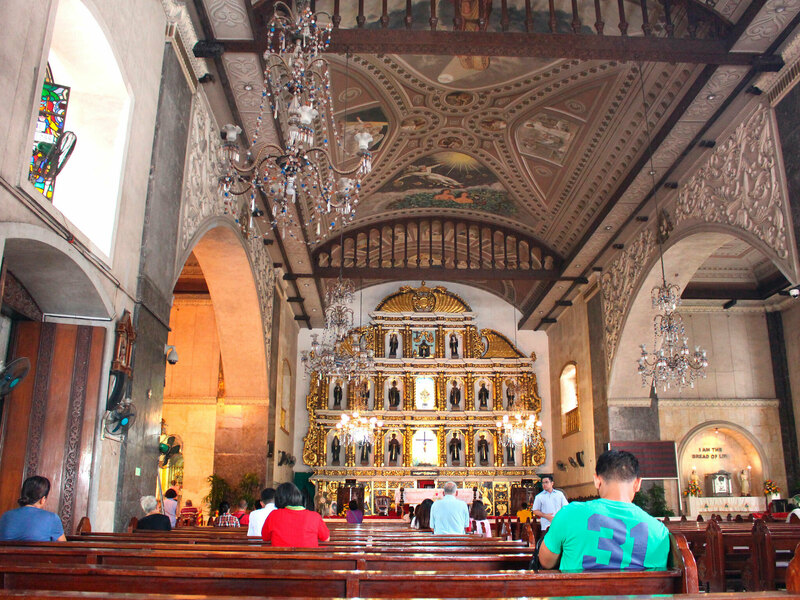 It was founded by Augustinian friars in 1565 and houses a revered Flemish icon of the Christ child (Santo Niño). The church was destroyed three times by fire before the existing baroque structure was built in 1737, and was badly damaged again by the 2013 earthquake but has since been restored. Why go? Declared by Pope Paul VI as "the symbol of the birth and growth of Christianity in the Philippines", Cebu’s holiest church derives its mystique from the icon (permanently encased behind bulletproof glass) which locals believe to be miraculous. Visit during the Fiesta Señor – a nine-day festival to experience the deep devotion Filipinos have for Catholicism. What is it? 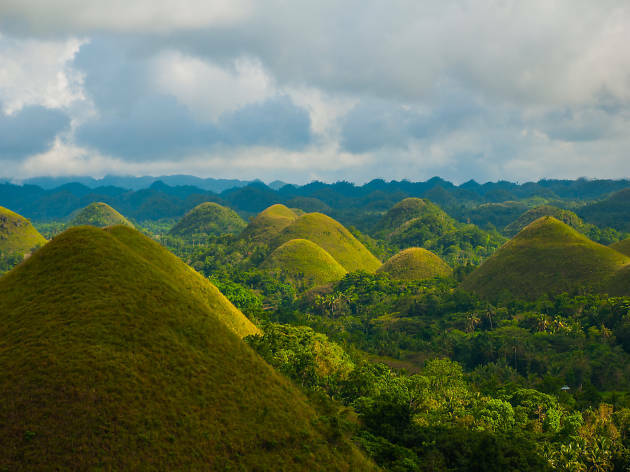 The Chocolate Hills are an unusual geological formation in Bohol which resemble giant molehills which turn brown (hence chocolate) during the dry season. Pair your visit with a trip to the nearby Philippine Tarsier and Wildlife Sanctuary where you can see the adorable Tarsier, the world’s second smallest primate and a protected species with as little as 5,000 left in the wild. Why go? Start at the Chocolate Hills, and marvel at their eerily uniform pattern, for which there is no official explanation. Then, visit the adorable, bug-eyed tarsiers in their natural habitat, guided by expert spotters at the sanctuary. What is it? 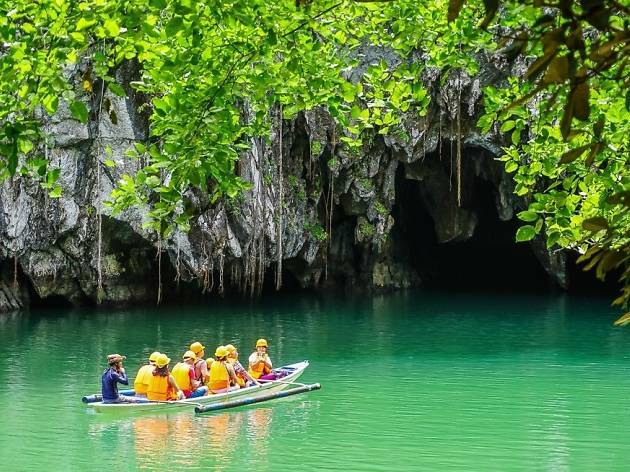 A nature reserve where you’ll find the Puerto Princesa River – the world’s longest navigable underground river which flows directly out into the sea. This UNESCO World Heritage flows directly underneath the St Paul Mountain Range for 8.2km through a series of vast chambers and caverns. Why go? Take a river cruise aboard paddle boats through spectacular limestone karsts where you’ll also see hundreds of bats, giant monitor lizards, crab-eating monkeys, pythons and sea snakes. If you’re feeling more adventurous, it’s possible to proceed 4.3km into the underground river with a permit from the Subterranean National Park Office in Puerto Princesa, secured at least two days in advance. What is it? El Nido (nest in Spanish) gets its name from the edible nests that swiftlets make high on the limestone cliffs surrounding the town. It is the gateway to the stunning Bacuit Archipelago. Why go? Island-hop your way through the 45-plus jagged limestone islands from El Nido and take in the stunning jade-coloured lagoons and powder white beaches. Don’t forget to pack your swimwear; you’ll want to go snorkelling in the colourful reefs, which are home to hundreds of species of fish and coral. What is it? 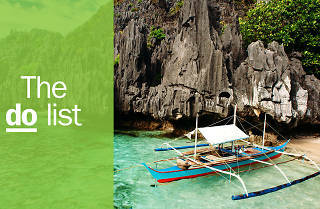 A tiny island off the north coast of Cebu which is famous for its world-class diving sites. 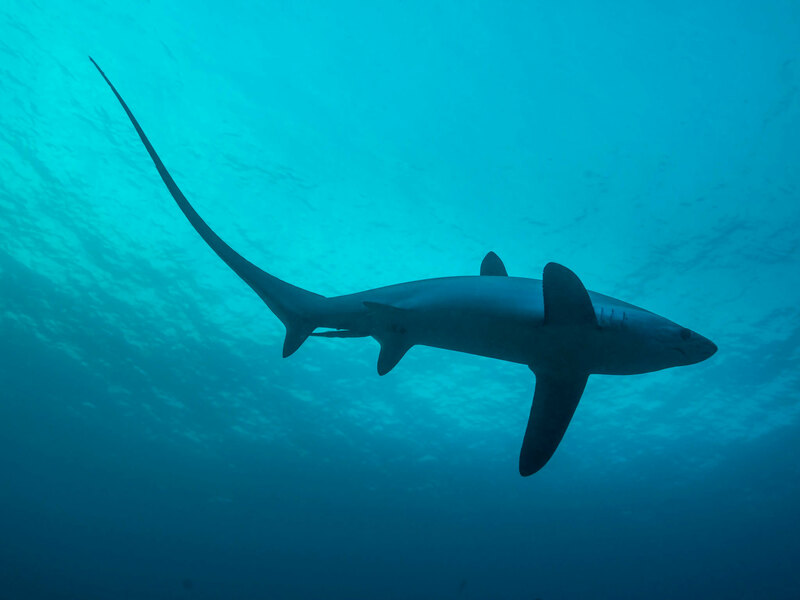 It’s known as the home of thresher sharks, which are present all year round. Why go? There are a number of diving sites to choose from, but all are breathtaking. For licenced divers, Monad Shoal is a must to spot thresher sharks. Gato Island is a marine reserve and sea snake sanctuary where you’ll find schooling fish and cruising reef sharks. What it is: Pampanga is known as the culinary capital of the Philippines and the province’s food is a unique mix of Spanish and Malay influences. It is home to exotic native delicacies such as betute tugak (stuffed frog) and adobong kamaru (mole crickets) and particularly known for speciality meat products like longganisa (Filipino-style sausage). Why go? 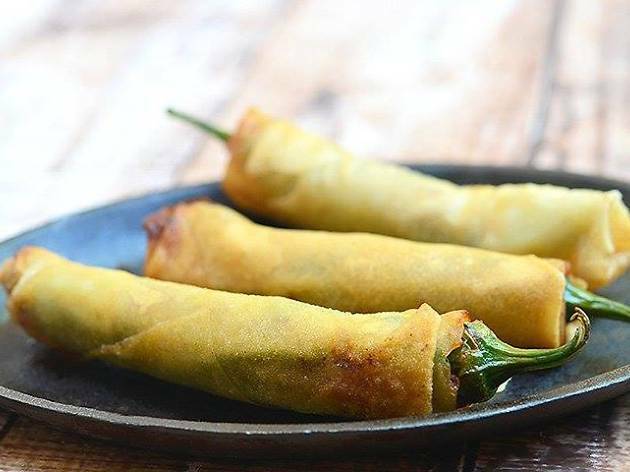 To try Filipino snacks that you’ll have never tasted before. We recommend taking a day-long food tour with Mangan Kapampangan.